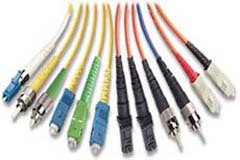 Cat5E Cable is a cable standard for Gigabit Ethernet and other network protocol, suitable for basic voice and data installations up to 100 MHz. In addition, these cables are with copper wire braid armoured & flame retardant mud resistant outer sheath, providing additional mechanically protection still maintaining the flexibility of the cable. Conductors : 24AWG solid bare copper. Twinning : Two coloured insulated conductors twisted together to form a pair. Bedding : Flame retardant, low smoke and halogen-free polyolefin, coloured black. Armour : 0.2/0.3mm copper wire braid. Outer Sheath : Low smoke and halogen-free polyolefin. 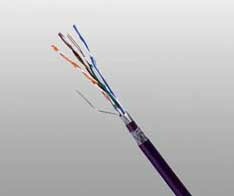 Cat5E F/UTP : These cables have collective shielding of aluminium/Polyester tape with drain wire. Bending Radius : 8×OD (during installation); 4×OD (fixed installed). Temperature Range : -30℃ ~ +75℃.